As mentioned in our last post, State Records is researching the ways in which NSW public offices manage their email. This research is part of a review of our advice in this area, some of which is more than ten years old. One of the aims of the review is to ensure that our advice on email management is informed by the perspectives and experiences of public offices, and reflects and addresses the email management issues that public offices want advice on. As part of our research State Records recently invited NSW public offices to complete a short survey on email management practices in their organisations. The results confirm some of our suspicions, but also challenge some long held assumptions. Recent anecdotal reports from NSW public offices suggest that email systems are one of the core business systems in use across the NSW public sector. Significant evidence of corporate decision making is therefore likely to be captured in email messages, and messages are therefore likely to have ongoing value to organisations (both to support current business and as evidence that may be required beyond the immediate business needs for the information). email systems are a core business system for many organisations, but evidence of corporate decision making and approvals is also stored in other systems (e.g. electronic document and records management systems (EDRMS), business systems etc.) Equal numbers of respondents agreed with one of these propositions, with almost one third of respondents agreeing with both. email messages have business value, but their ongoing value as evidence is disputed. 62.8% of respondents considered that email messages have business value to their organisations, but only 49% considered that messages need to be kept long term. email messages with corporate value are stored only in personal email accounts and are therefore at risk of loss or premature destruction. 81% of respondents agreed that this is the case in their organisations. printing messages and capturing them on paper files. in the majority of organisations employees routinely capture messages of corporate value using traditional methods. 23% of respondents advised that employees in their organisations capture messages to an EDRMS and do not print and file; 19% advised that employees print and file messages and do not capture them to an EDRMS; and 26% advised that employees both capture messages to an EDRMS and print and file them. in almost one third of organisations employees do not routinely capture messages of corporate value using traditional methods. 33% of respondents advised that employees in their organisation neither capture messages to an EDRMS nor print and file them. respondents who think that employees in their organisations fail to routinely capture messages of corporate value are also likely to think that important corporate records are at risk of loss or premature destruction because they are only stored in personal email accounts. Of the respondents who advised that employees in their organisation neither capture messages to an EDRMS nor print and file them, 79% consider that important corporate records are only stored in personal email accounts and are therefore at risk of loss or premature destruction. 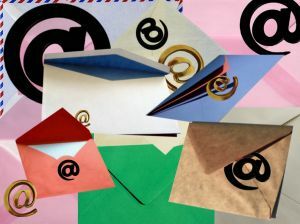 Some archives and records professionals have suggested that traditional methods for capturing messages have failed, with employees generally disinclined to move messages of corporate value from their email applications. These professionals have suggested that it may be necessary to develop new methods for capturing emails, such as capturing entire email accounts for core business managers and accepting that the messages sent and received by other employees will not be captured. Email archiving solutions are software products which enable the capture and transfer of copies of all emails from an organisation’s email server to a separate storage location. Anecdotal reports from NSW public offices suggest that these types of solutions are increasingly common across the sector, with organisations relying on these solutions as default records storage systems. The survey sought to test this assumption, and to gather information about the types of email archiving solutions being implemented. The results indicate that about half of the responding organisations have implemented an archiving solution, with two products (Symantec Enterprise Vault and Quest Archives Manager) being the most commonly implemented. A number of email archiving solutions have retention and disposal functionality (e.g. the ability to set retention periods and disposal actions on messages and to destroy messages when retention periods have expired). However the results of the survey suggest that organisations with email archiving solutions are not actively managing the retention and disposal of messages using this functionality. 3% of respondents advised that their organisation had to retrieve all messages that mentioned a particular word from backup tapes to satisfy a Standing Order 52 for papers. State Records would like to thank all of those who took the time to respond to the survey. If you have any comments about email management practices in your own organisation, please leave a comment below.